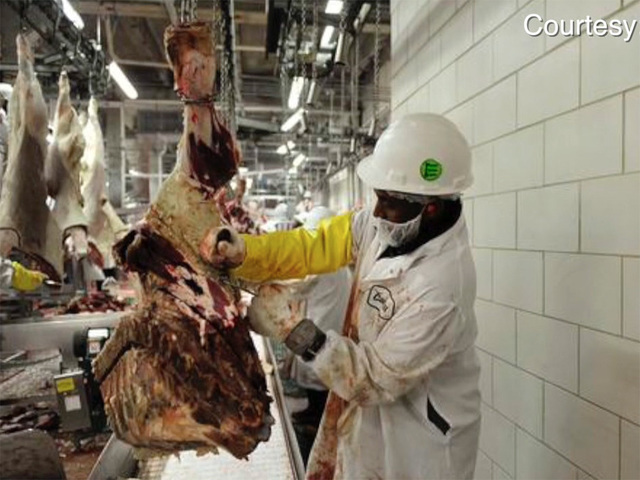 Nearly 150 Somali refugees say they hope to get their jobs back at the Cargill Beef Plant in Fort Morgan, Colo. after many of them were fired for reportedly leaving their posts following a dispute over workplace prayer. But company officials state the employees were fired for attendance policy violations -- not for religious discrimination. “The majority of them did not show up, or call, for three consecutive days,” said Michael Martin, Director of Communications for Cargill, Inc.
Hassan added the company would only let a handful of employees pray at sunset, thus creating a conflict for many of the workers who also needed to pray. But Martin said Cargill has made religious accommodation for its employees, and it can’t accommodate all their wishes. “In 2009, we established reflection areas for all employees to use, regardless of faith." Martin said that the company allows some of those employees to leave the production line for breaks, but can't allow a large number to leave, or it would disrupt work production. “They had to rotate two or three at a time,” he said. Martin added there was a misunderstanding during the second shift on December 18. He said 11 people from one specific table all asked to pray at the same time. When they were told they couldn’t all go at once, ten resigned. Jaylani Hussein, a spokesperson for the Council on American-Islamic Relations (CAIR), said employees never requested to leave in large groups. “The question of whether there was a large group of people requesting to pray together, this is not actually accurate information,” said Hussein. “The supervisor told them if they wanted to pray, [to] go home, and that was not the policy in the past. We are trying to figure out what changed." Several days later after the misunderstanding, nearly 150 employees failed to show up or call in, in sympathy with those workers . According to Hassan, the 11 people who initially walked off the job were not all working at one table. He said there were one or two from several tables. He also said the company made accommodations before, but things changed when a new shift manager took over. “They told us, ‘If you try [to pray] tomorrow, you’re going to get a write-up or get fired,’” Hassan said. 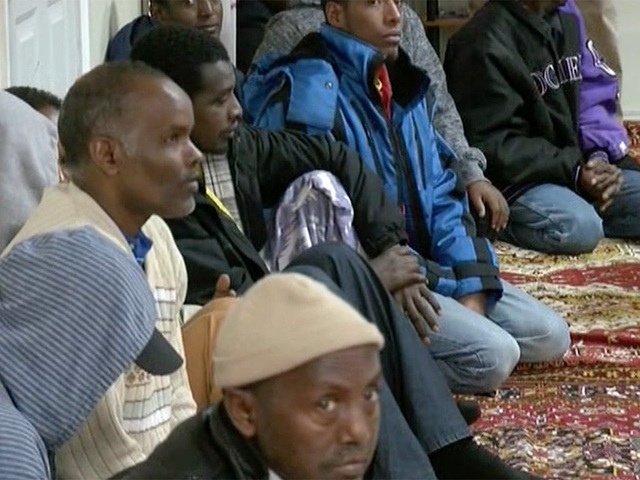 Martin said that before the terminations, more than 600 of the plant’s 2,100 workers were Somali refugees. “Three-fourths of them are still working,” he said. Martin added that the plant is federally inspected and has to maintain product quality. The plant is also a union shop. Hussein said Cargill told CAIR it is planning to change its termination and re-hiring policy, but he has not heard what the change will be. “The lines of communication are still open,” Martin said. “If we come back, they have to let us pray,” Amed said. Omar Jamal, Executive Director of the Somali Human Rights Commission, also weighed in, saying Cargill has an accommodation plan in place. He added the company’s decision isn’t based on religious intolerance toward Muslims.